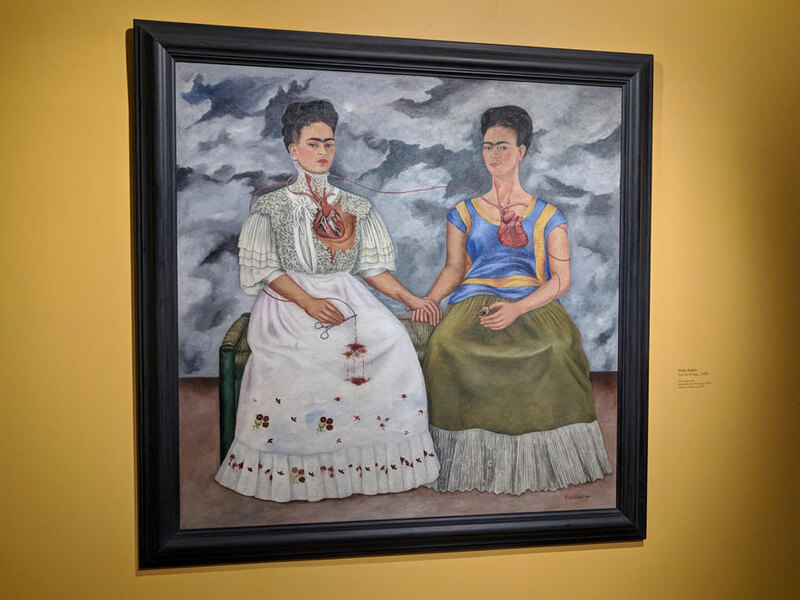 The Two Fridas at the Museo Arte Modeno . In this painting Frida depicts two versions of herself – one in a European-style Victorian dress and the other where a traditional Tehuana (Mexican-American Indian) dress. Frida’s father was German and her mother was Mestizo (a mix of Spanish and Native American). January 6 – 11, 2019. Frida Kahlo and Diego Rivera seem to be a great source of Mexican pride. You find souvenirs with Frida’s likeness on them everywhere and Diego’s art is known across the country. Along with a politician, a couple of revolutionaries, a feminist nun, and a pre-Hispanic ruler, they also appear on a Mexican peso note, the 500, Frida on one side and Diego on the other paired with tiny excerpts of one of their works of art. I find it hard to imagine such collective pride for artists in the US. I should start my petition for the portraits of Georgia O’Keeffe with one of her beautiful flowers on one side and her husband, Alfred Stieglitz (I know, who’s he? ), on the other. Or perhaps I should try for a Jackson Pollack and his painter wife, Lee Krasner, on a 20 – I wonder how boring an abstract expressionist painting would look in monotone dollar bill green. If only Christo and Jean Claude were Americans, it would be too much fun figuring out how to wrap 20s or wrap things with 20s donning their likeness. But painters – or women as of yet, on paper money, isn’t very American. And I’m sure many of you unless you are art enthusiasts, aren’t that familiar with all the famous artists’ names I so pretentiously dropped in my previous paragraph. This is totally understandable because Americans don’t revere artists in the same way Mexicans do. But really, I think the pride in Frida and Diego is about more than art. If you ask a Mexican to name a famous Mexican you might get a variety of answers – including many present-day names like Carlos Santana and Salma Hayek. But ask someone outside of the country and I bet Frida and Diego’s names come up quite a bit. While in Mexico City we got to learn a bit more about this esteemed Mexican couple. I already knew some from art history classes and from the Frida film with Salma Hayek – but there is something about visiting the city where someone lived, walking around in their neighborhood, touring their home, seeing their stuff, their clothes, the things that were important to them, and the things that caused them great pain and grief that makes them more real and gives you a broader perspective about who they were. And, of course, it is amazing to see the actual art that they both created. 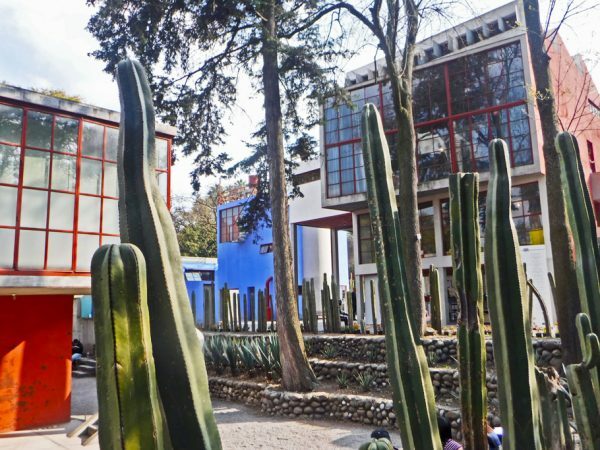 At Diego and Frida’s houses in the Coyoacán and San Ángel neighborhoods, at the Bellas Artes, The Museo Arte Moderno, and the Palacio National – we found Frida and Diego all over the City. 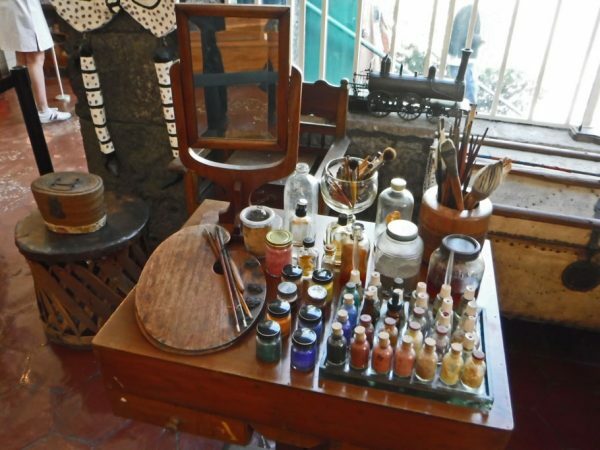 Diego Rivera was already a famous artist when he met the art student Frida Kahlo (20 years his junior). They married in 1929 when she was 22 and he 42. 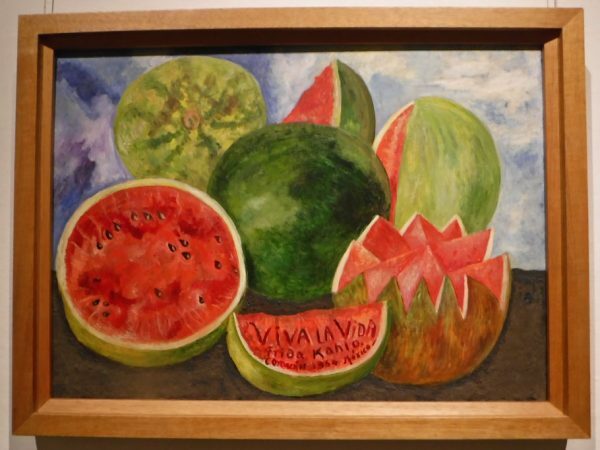 Frida painted portraits and works inspired by nature and Mexican artifacts but is probably most known for, self-portraits. Frida died in 1954 at age of 47. 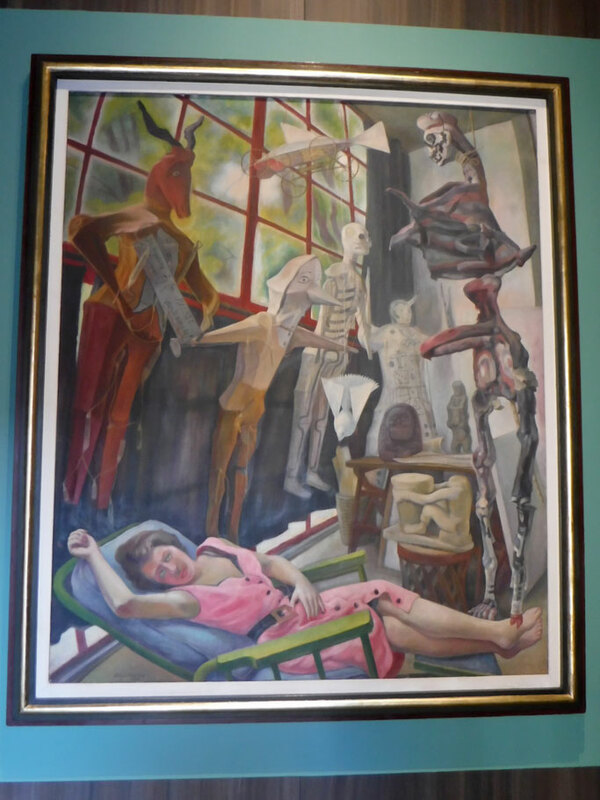 She was little known as an artist until the late 1970s when her art was rediscovered by art historians and political activists. 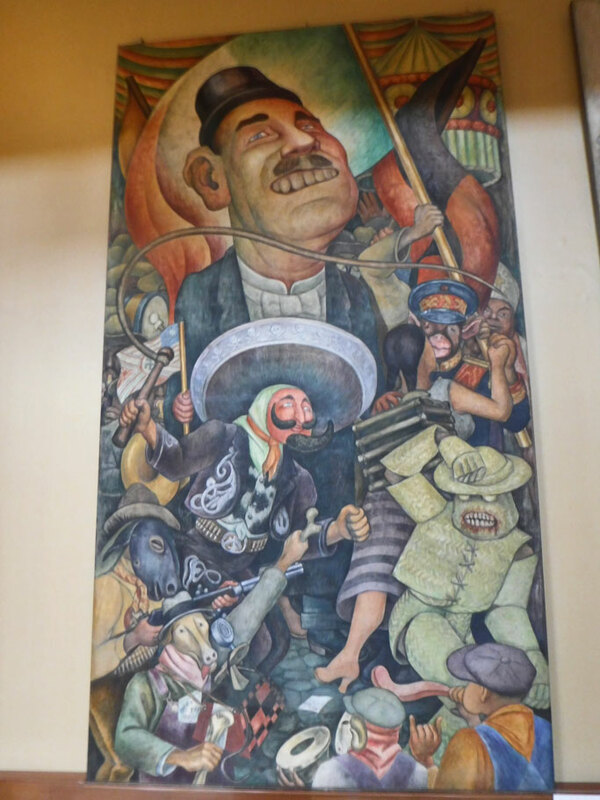 Diego was part of the Mexican muralist movement. He painted murals in cities across Mexico as well as New York, San Francisco, and Detroit. He died in 1957. 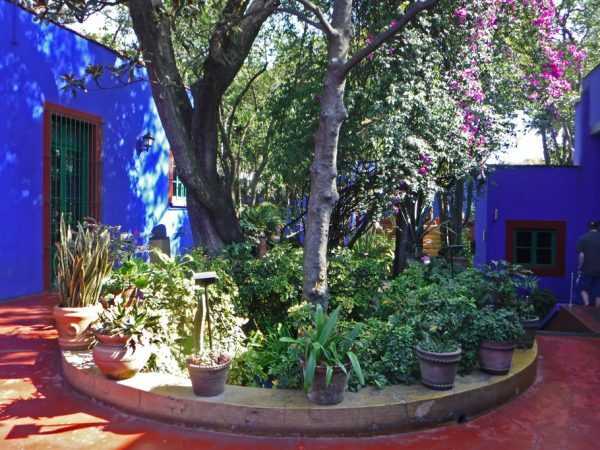 Part of the garden area of Frida’s parents house, La Casa Azul, where Frida and Diego lived in the Coyoacán area of Mexico City. The interior of the house is beautifully decorated and has as much life as the outside with its gardens and colbalt blue walls. 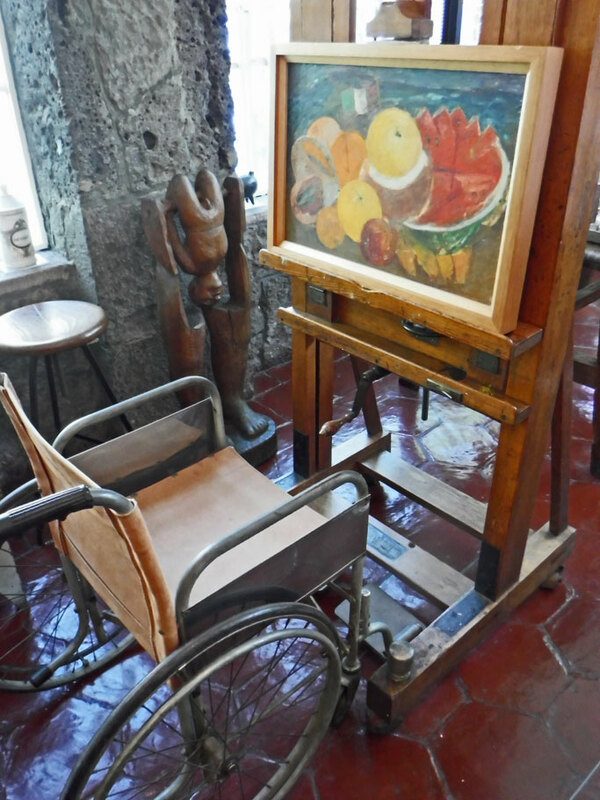 Frida’s easel and wheel chair. A car accident when she was 18 caused her lifelong pain and medical problems. Frida’s paints and the mirror she used for her self portraits. Despite Frida’s deteriorating health she kept painting until her last year of life. 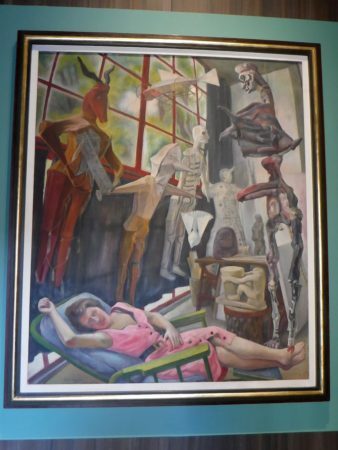 Viva la Vida (Long live life) is her last painting. 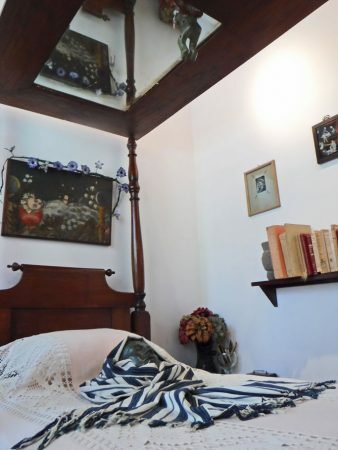 Frida’s daytime bedroom. You can see her death mask on the bed and the mirror that her mother installed after her car accident. Detail from the room used by Russin politician Leon Trosky during his exile in Mexico and by Diego the last years of his life. Frida collected ex-votos, small painting commissioned from anonymous folk painters as votive offerings dedicated to the Virgin Mary, Jesus, or other commonly worshiped saints to thank them for their aid in times of great need. These paintings depict everyday life in the late 19th and early 20th centuries. 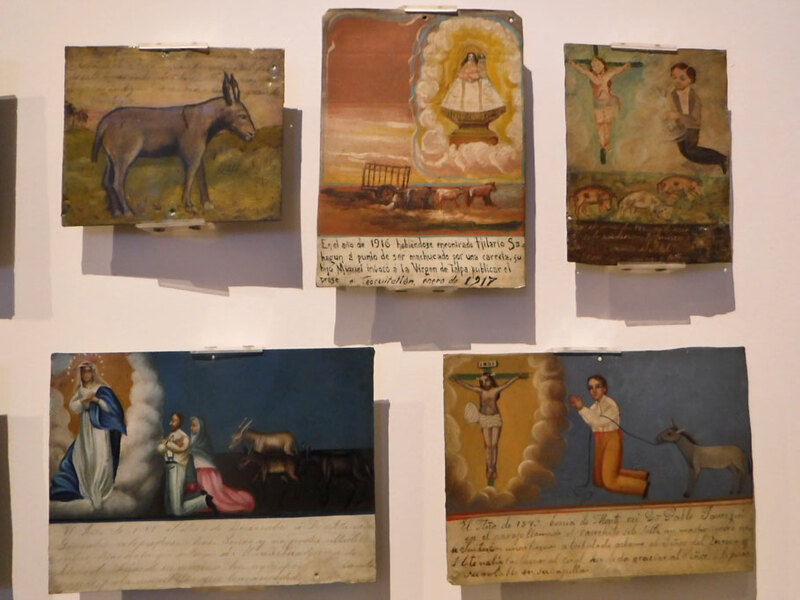 Frida’s collection of ex-votos is one of the largest collections in Mexico. 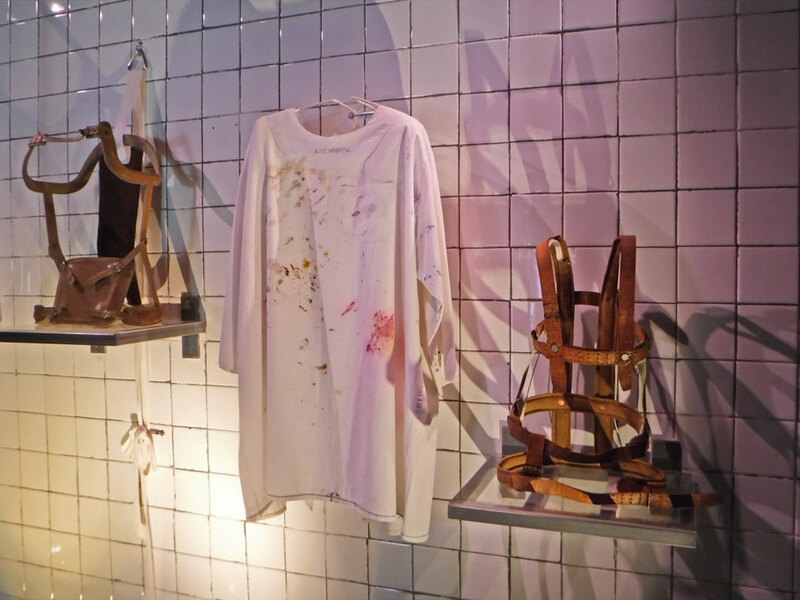 Leather corsets and a hospital gown worn by Frida. 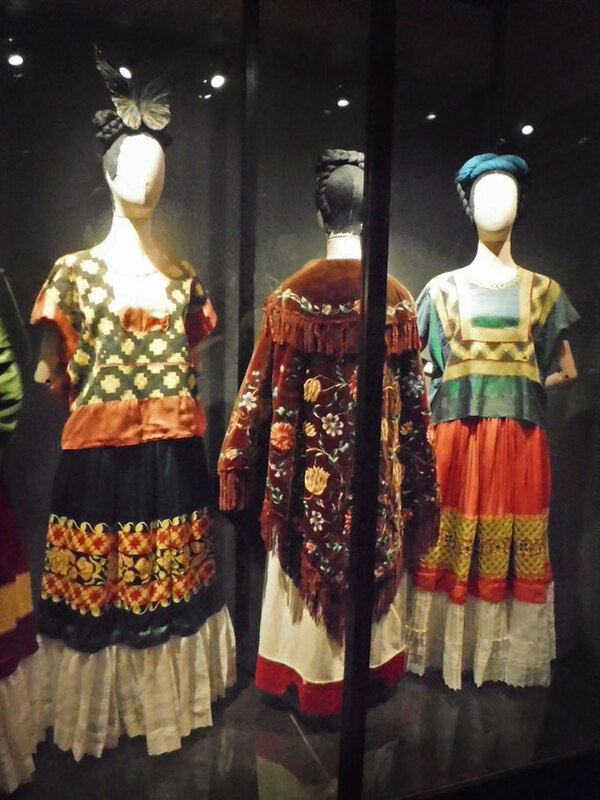 Frida wore these traditional Tehuana dresses. 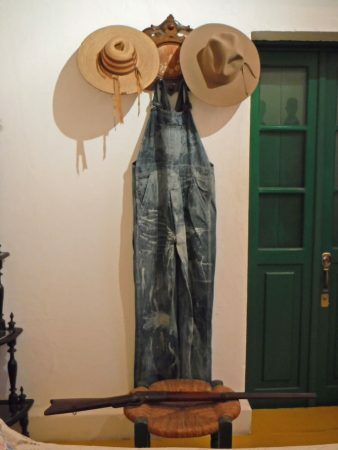 Along with her painting style, her clothes became iconic. Not only did they hide her bodily imperfections from her accident, but they were also symbols of female power and independence in the matriarchal Tehuana society. Outdoor patio at La Casa Azul. Note the hammer and sickle pattern within the star on the ceiling. 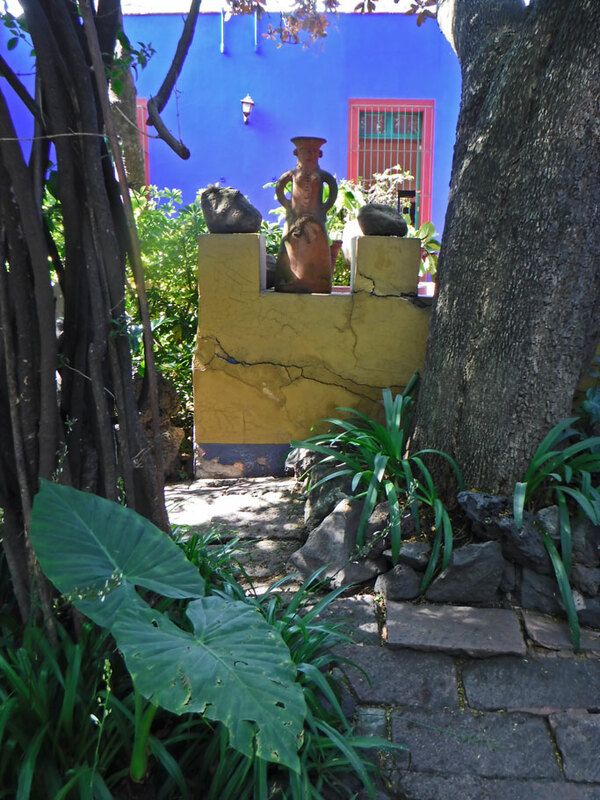 The gardens at La Casa Azul. La Historia de México mural by Diego Rivera at the Palacio National in Cuidad de México depicts México’s history from ancient times to the 1930s. Lucila and Judas, painting by Diego Rivera at the Palacio National. Dictadura (Político Carnival de la vida Mexicana) by Diego Rivera at the Bellas Artes. 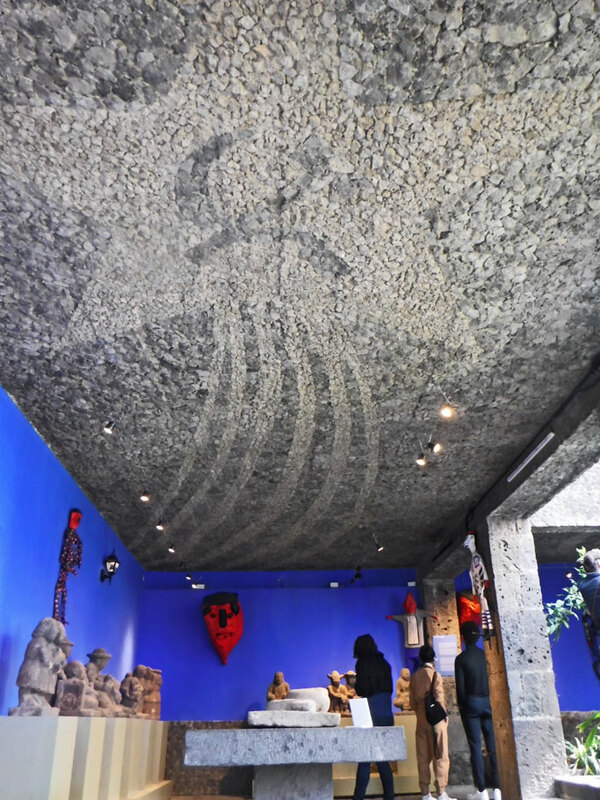 This mural by Diego Rivera, Man, Controller of the Universe, was based on a mural originally planned to be installed in the lobby of 30 Rockefeller Plaza in New York City. When Nelson Rockefeller realized that the mural would include an image of Vladimir Lenin and a Russian May Day parade he made several requests to Rivera to remove the portrait of Lenin. Diego refused and the mural was peeled off. 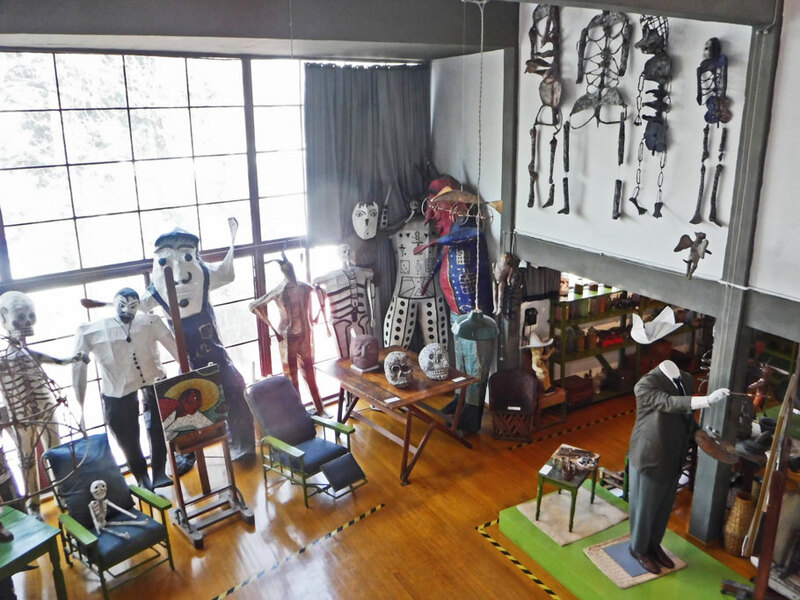 Diego and Frida’s studios in the San Angel neighborhood. 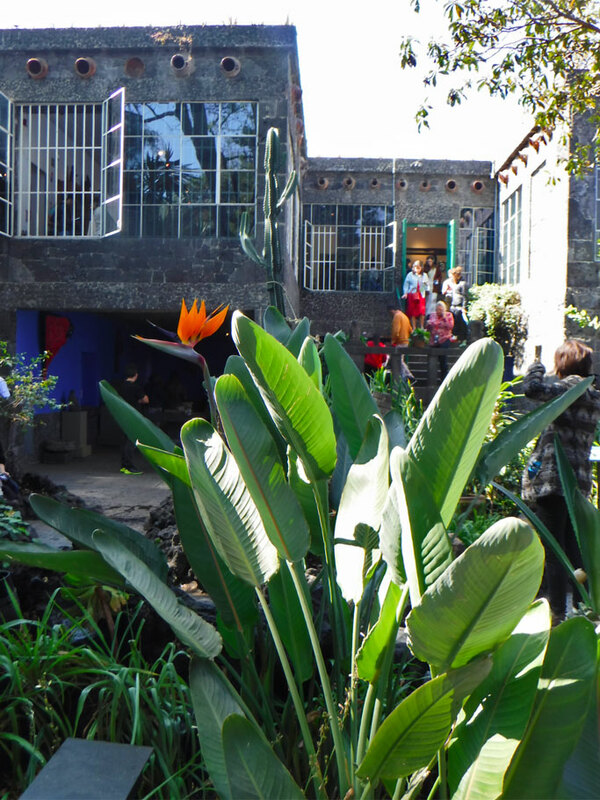 Diego’s studio is on the right with the big glass windows, Frida’s is the blue buidling in the middle. View from Frida’s studio to Diego’s connected by a catwalk. 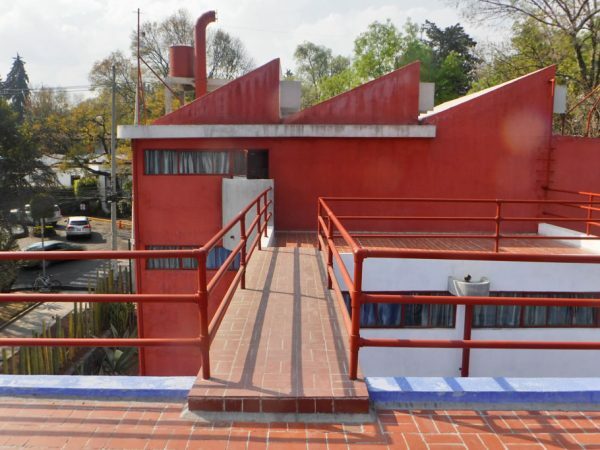 Diego had these modern studio/homes designed and built. Not quite as cozy as La Cas Azul. This entry was posted in Mexico, Mexico City, Travel On The Dirt and tagged Art, Diego Rivera, Frida Kahlo, La Casa Azul. Bookmark the permalink. What a wonderful blog. I have forwarded it to my daughter Tamara, who is a big Frida fan. We have simply loved your blogs. I read them to Ed either over coffee in the morning or during toddy in the evening. 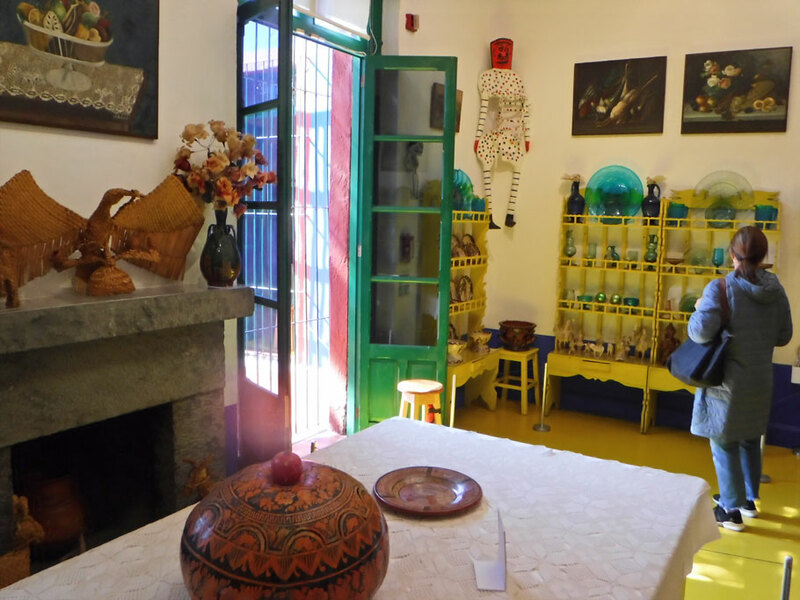 Such a lovely travelogue through Mexico for us. This one was especially good. Thanks for doing this. I know it is a lot of work; but so enjoyable for us. Thanks so much Meredith. You are great inspiration for us to keep it up. 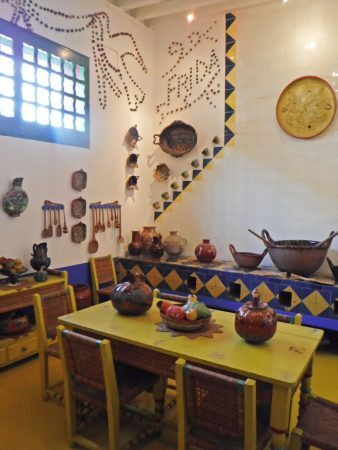 Mexico is so rich with art and culture it is a bit overwhelming. Un abrazo para ti y Ed también. What an interesting and fascinating post, Duwan. And, so informative. I’d heard a lot about Frida and Diego, but never read anything in depth about them or focused on their paintings. Such a creative and inspirational couple. So sad about her accident. And she died young! I’d like to learn more about that and how she kept her painting life going through all that discomfort. Their studios sure look modern for their time with all that glass. Thank you for sharing the beautiful photos and the lives of these artists. I’d love to have some painter portraits on US money! Thanks! Frida and Diego’s is really a fascinating story – I was only able to give the basics here. I’ve always liked Frida but after visiting her home and learning a little more about her life I now find her a huge inspiration. I can’t imagine being so driven to create even though I was experiencing great pain. I love it that you have a client who named her dog after Frida. It seems kind of fitting for a Greyhound since usually they have been through such trials also.